The college football season is now in the dregs of the offseason and recruiting has completed. The offseason provides an opportunity to analyze the previous season and look forward to the next season. One of the hot topics in college football is the College Football Playoff. 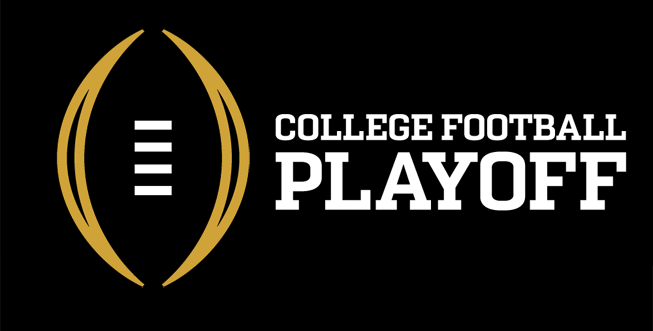 The playoff is the newest iteration of the college football heads to best determine who should be champion. The college football national champion has been decided a number of ways over the years. It was decided by polls and voters. It has been decided by a computer ranking system. Now college football’s champion is decided by a four team playoff. The playoff has featured college football’s elite teams. Alabama, Ohio State, and Clemson have been named champions of the playoff in the three years of its existence. The common thread in these four team playoffs is that the teams included have been from power five schools. One SEC team, two PAC12 teams, three Big10 teams, and two ACC teams have made up the playoff field so far. That means not a single team from the “Group of Five” has yet to be selected, as well as a team from the Big 12 conference. What will it take for a team from the Group of Five to be selected? A lot of that will depend on a team performing above and beyond their schedule. The system does not favor these schools. In the old BCS era Utah was the first team to break the wall down for the Group of Five schools getting access to the big time bowl games. Following in the Utes’ steps were TCU, Boise State, Western Michigan, Hawaii, Northern Illinois, Houston, and others. The team closest to breaking down the playoff barrier has been a 15th ranked Western Michigan this past season. The Broncos finished the season at 13-1, their only loss coming to Wisconsin in the Cotton Bowl. A big step for the Group of Five, but a long ways to go. The Broncos’ schedule would have needed to be significantly better, as well as beating all of the teams on its schedule to get into the playoff. Looking at this upcoming season you can see a handful of teams who are probably ready to attempt to make that next step towards becoming a playoff teams. The trendy names right now are Boise State, Wyoming, San Diego State, Houston, and the always dangerous Navy. Wyoming’s schedule sets up with dates against Power Five teams Oregon (at home) and Iowa (on the road), as well as Boise State, Colorado State, and Texas State. The Cowboys are ranked in the early top 25 by Pro Football Focus. Boise State’s schedule also features two Power Five teams, Washington State and Virginia, as well as BYU. The Broncos could make a run towards the playoff with an undefeated schedule as well. San Diego State has dates with Arizona State and Stanford on their schedule. Houston will also feature two Power Five teams on their schedule. The teams listed above are scheduling themselves with the hopes that their resumes will be good enough to realistically compete for at least the one Group of Five slot in the big New Years Day bowl games. The Group of Five has one slot saved for the top ranking team (according to the CFB Playoff Poll) to be selected for an at-large berth into the games. Teams in the Mountain West, American Athletic, MAC, and Sun Belt will need to significantly improve their scheduling, and start winning those games, in order for anyone to be considered a legitimate contender for the CFB playoff. This past season many people saw the Washington Huskies as somewhat of an outsider to the playoff. The Huskies gave Alabama a quality game, but were not enough to fight off the Tide. College football is a big money business and the Power Five is not just going to let a small school in without climbing some serious mountains to get there. Some say the system would never allow a Group of Five school into the playoff. That’s a fair argument, and we may never see a Group of Five school compete in a playoff until the playoff is expanded. Until then, we just wait and see.